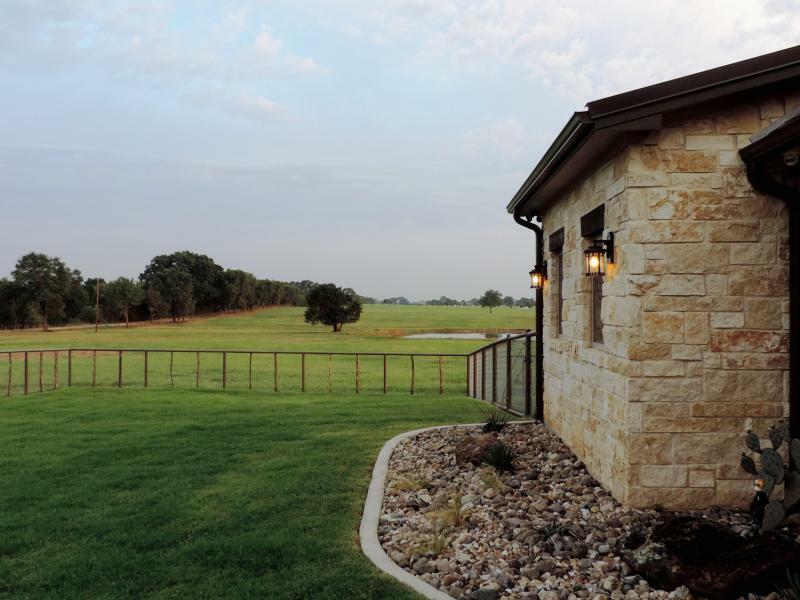 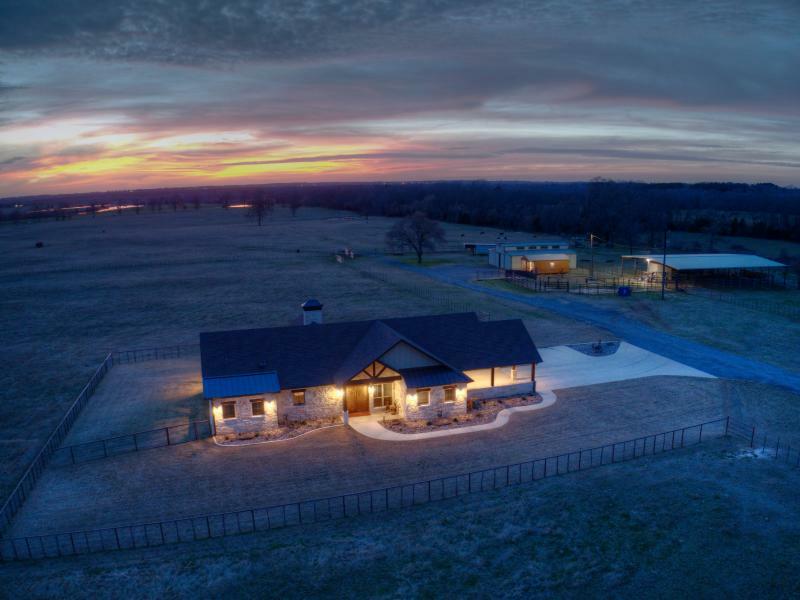 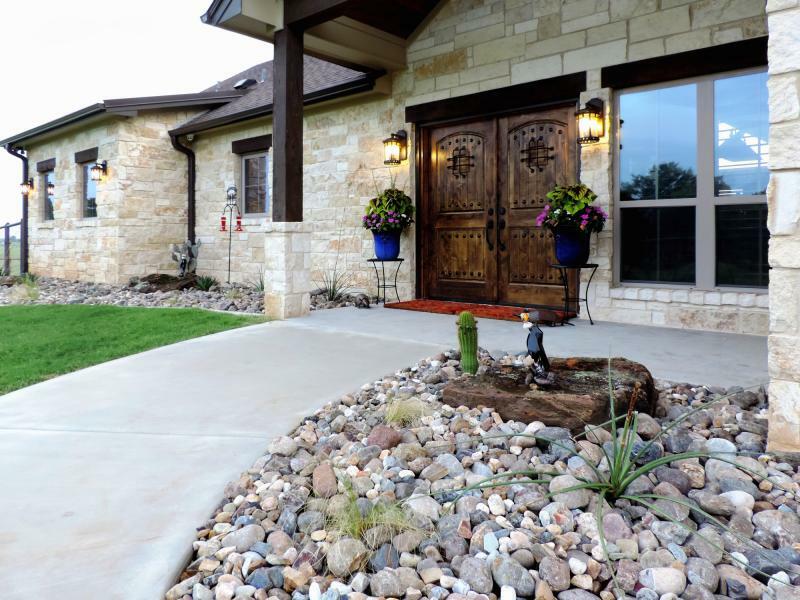 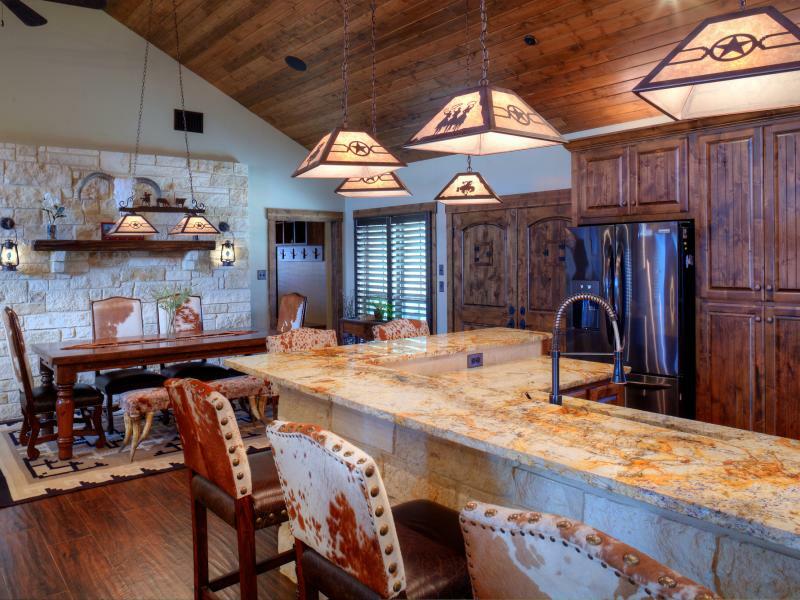 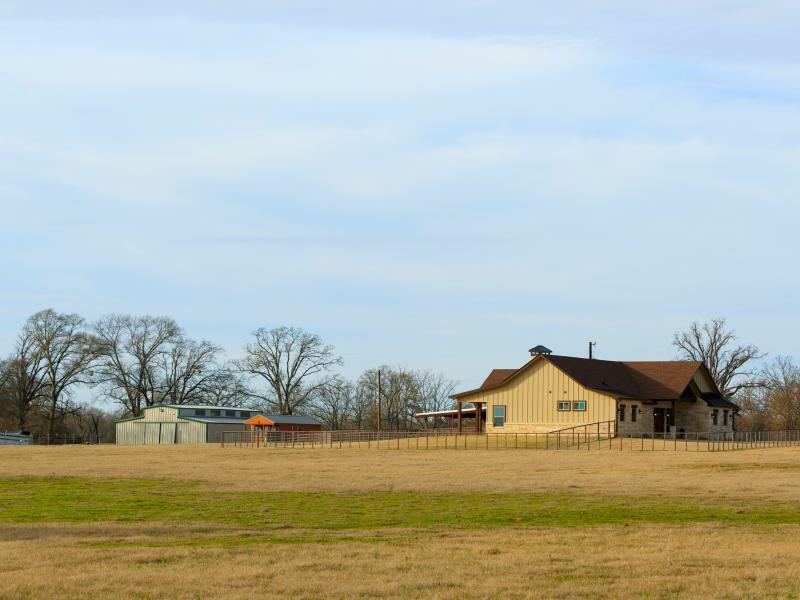 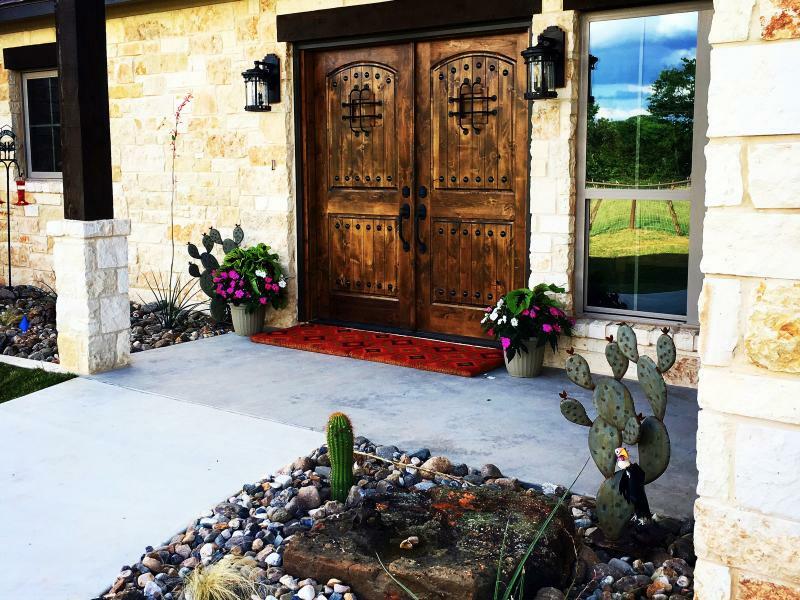 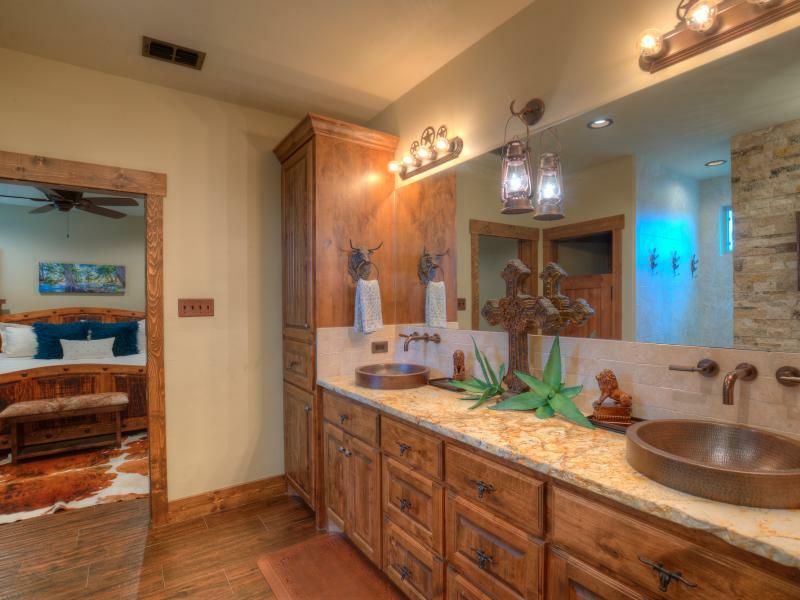 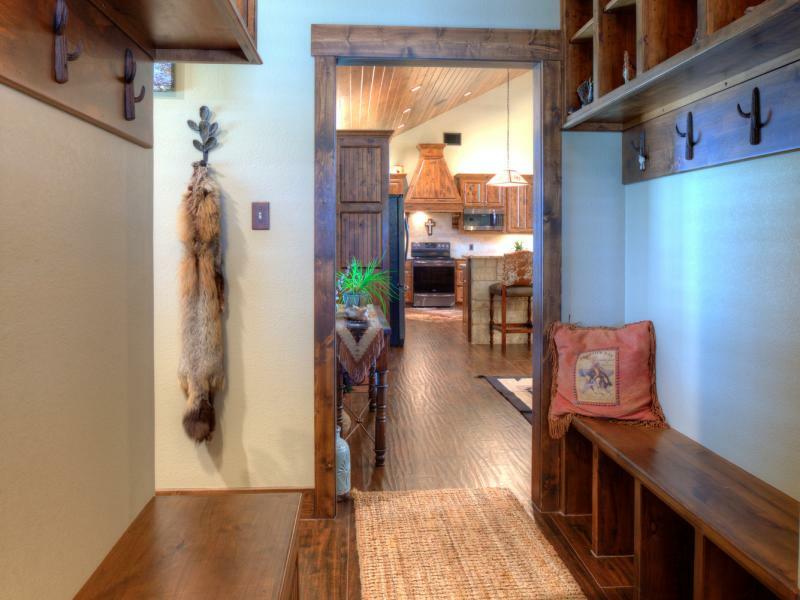 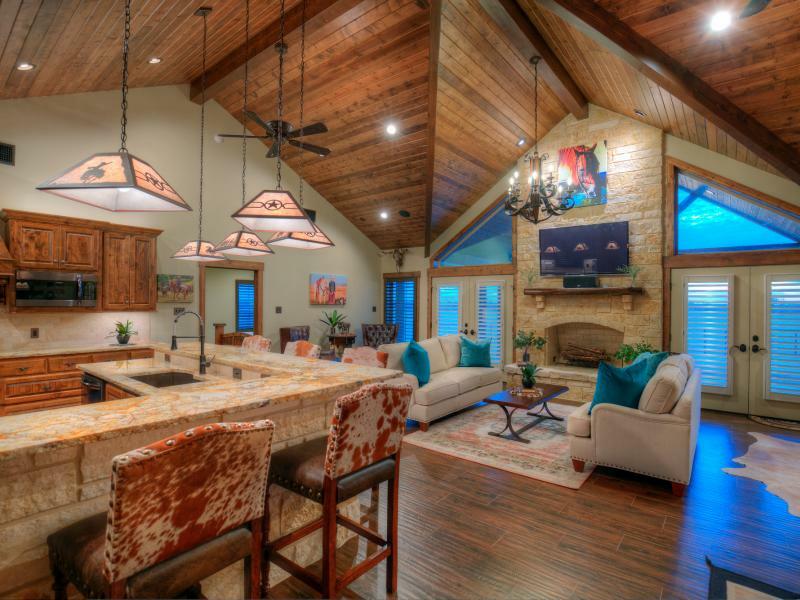 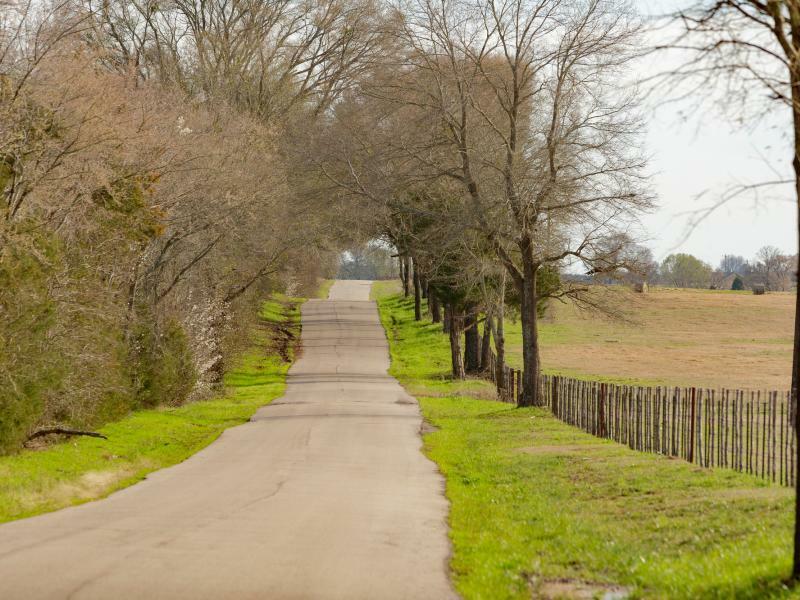 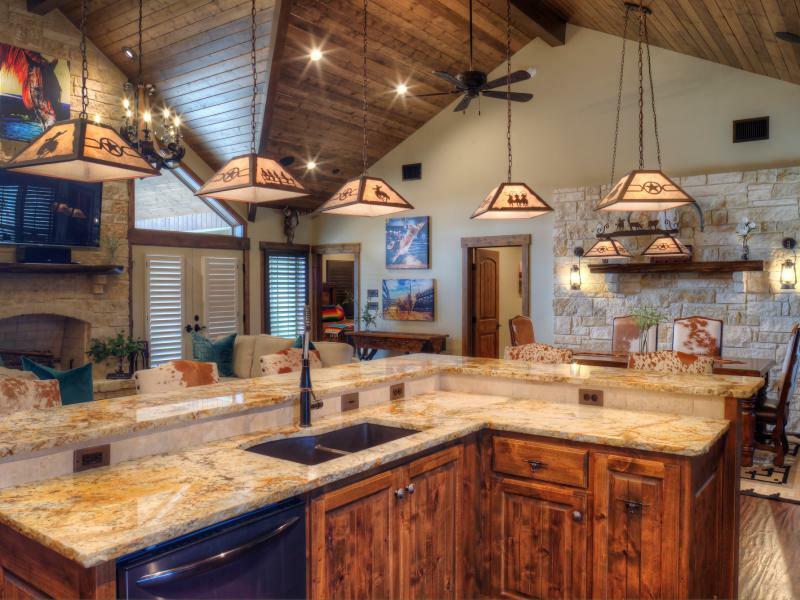 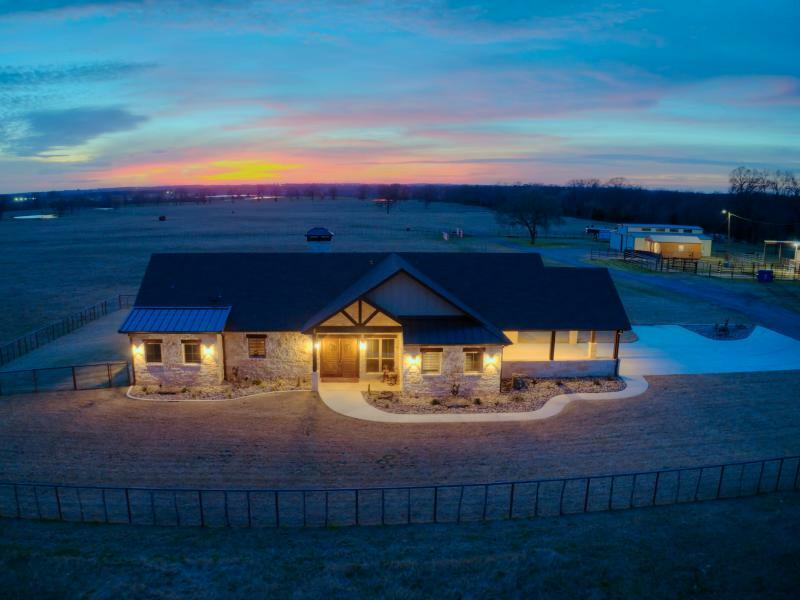 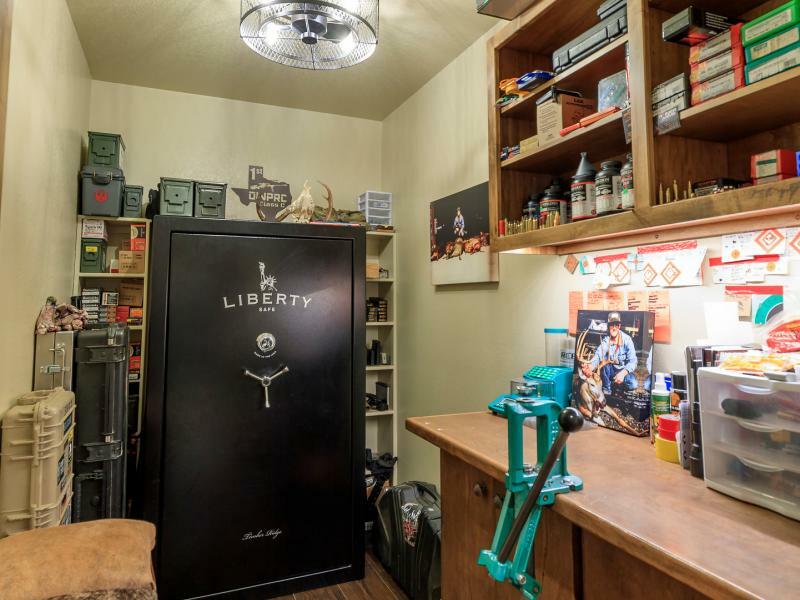 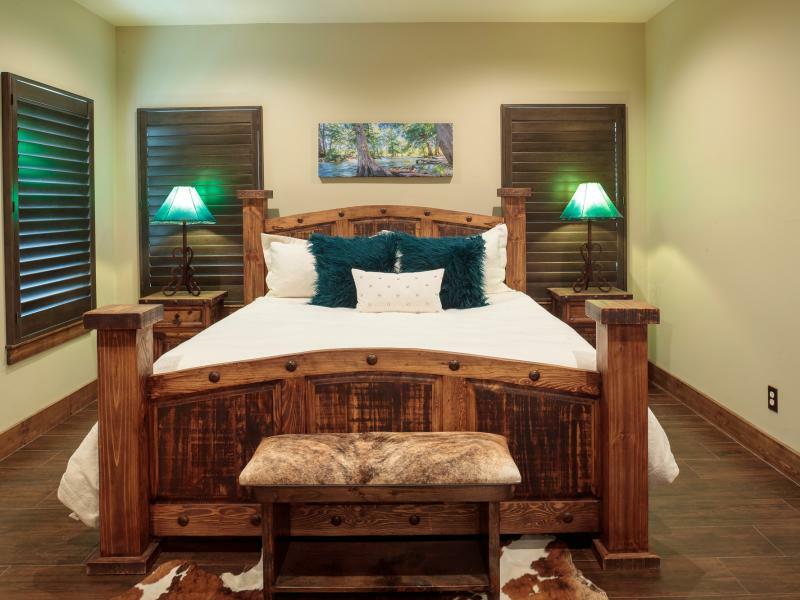 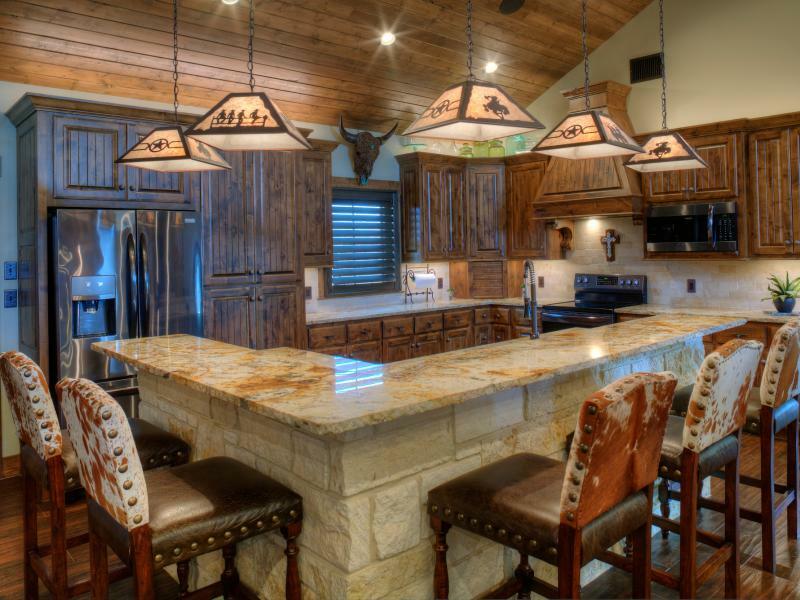 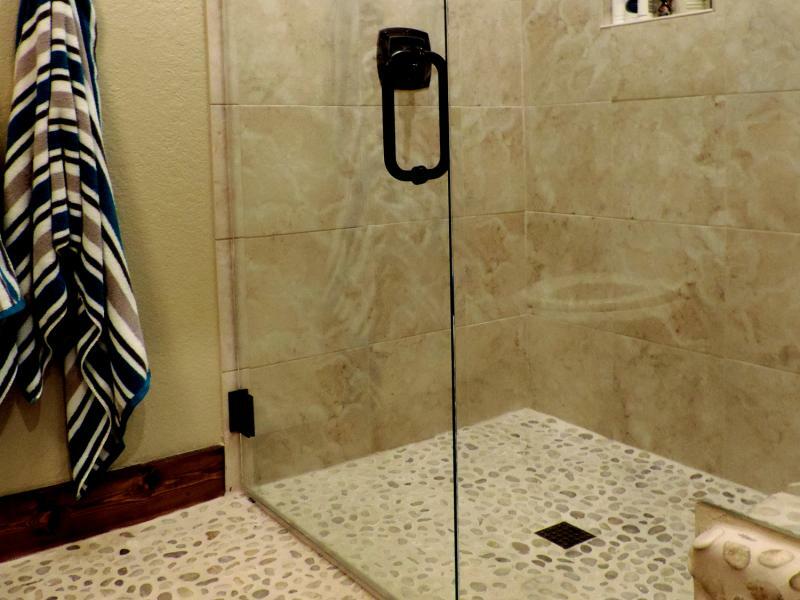 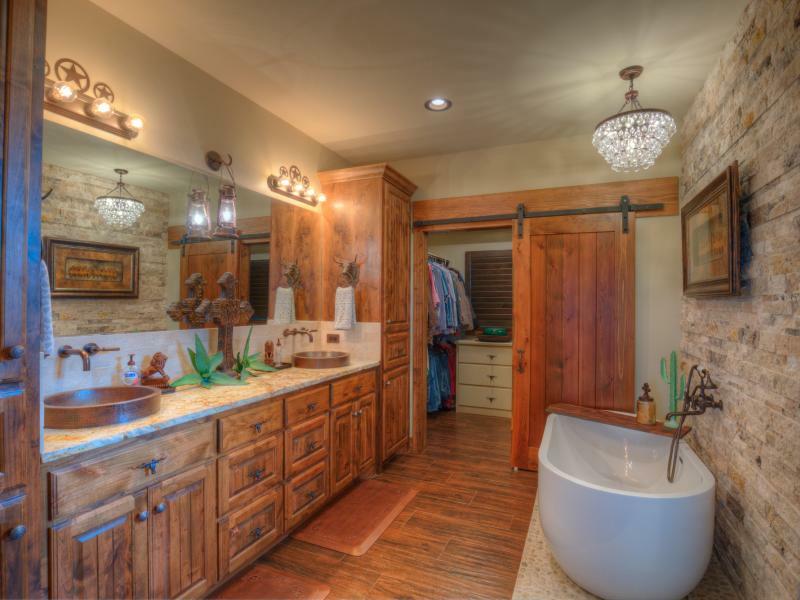 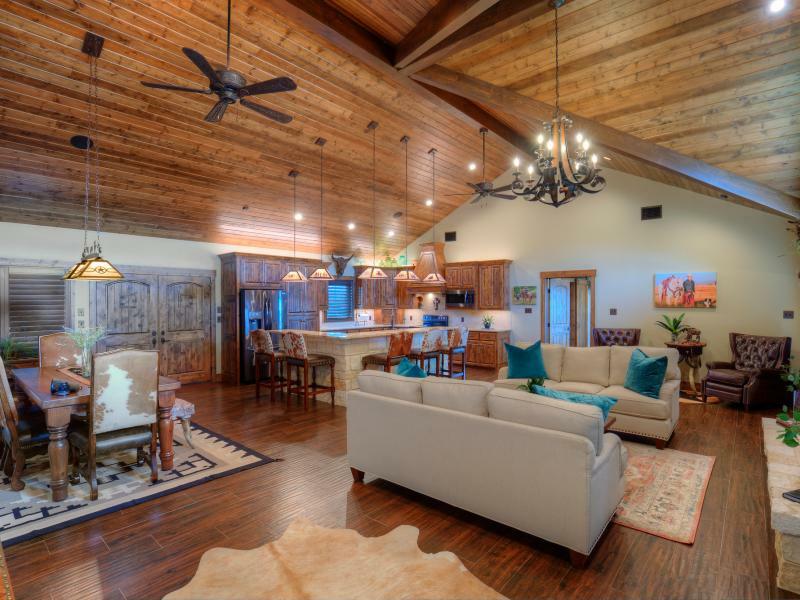 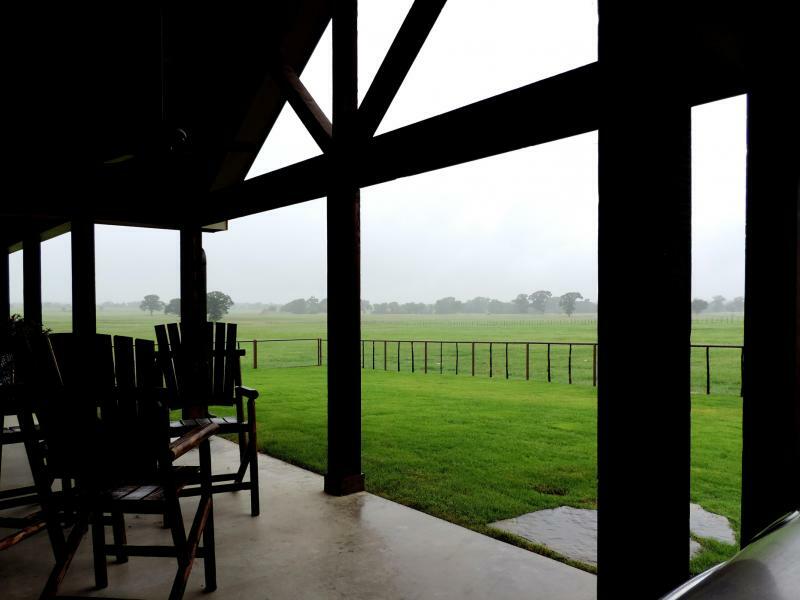 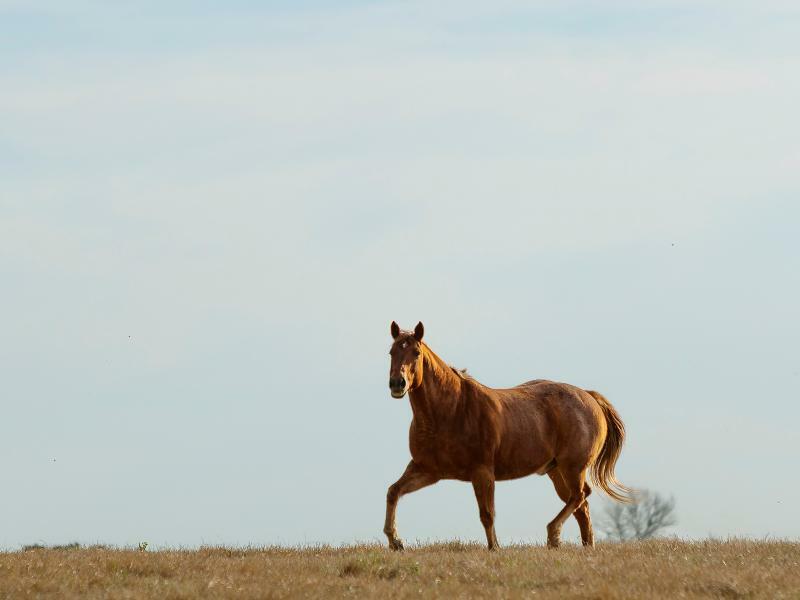 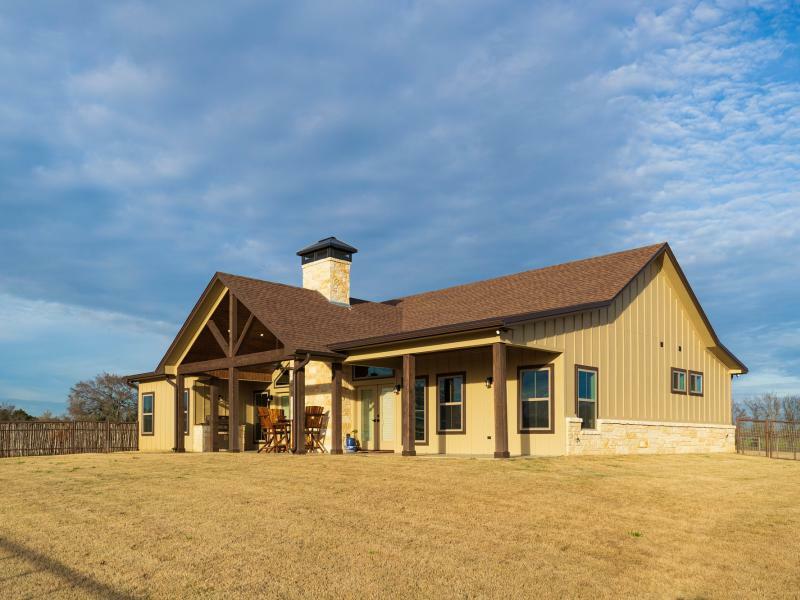 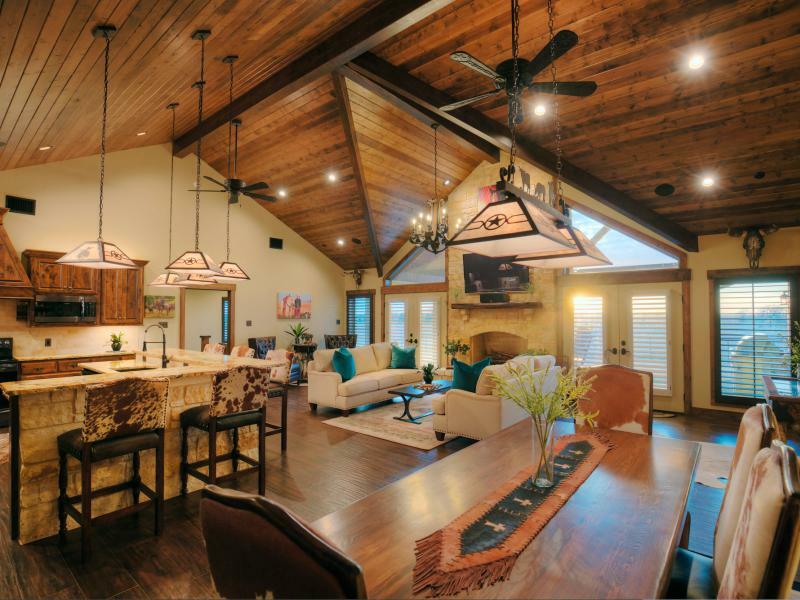 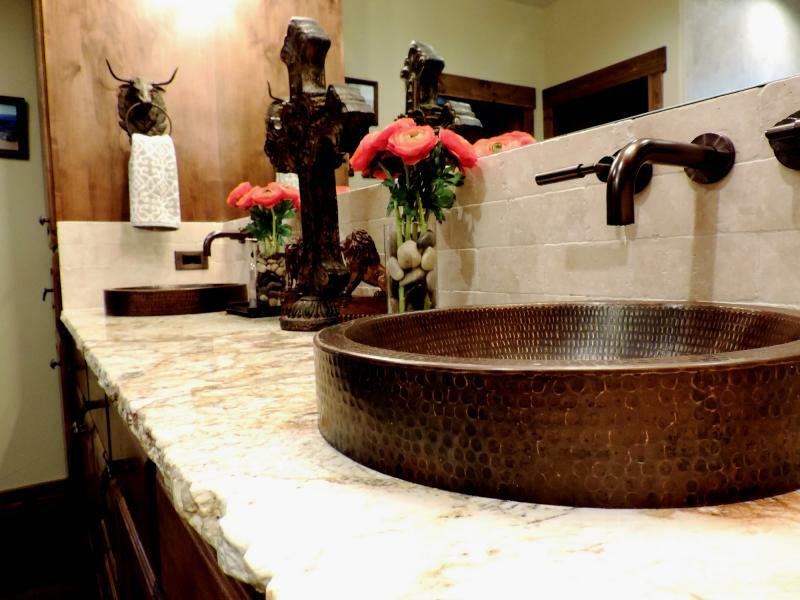 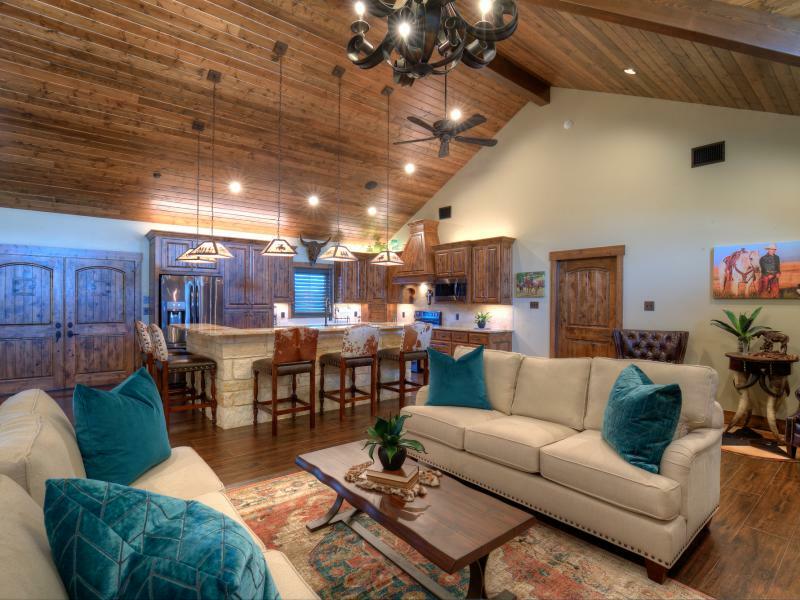 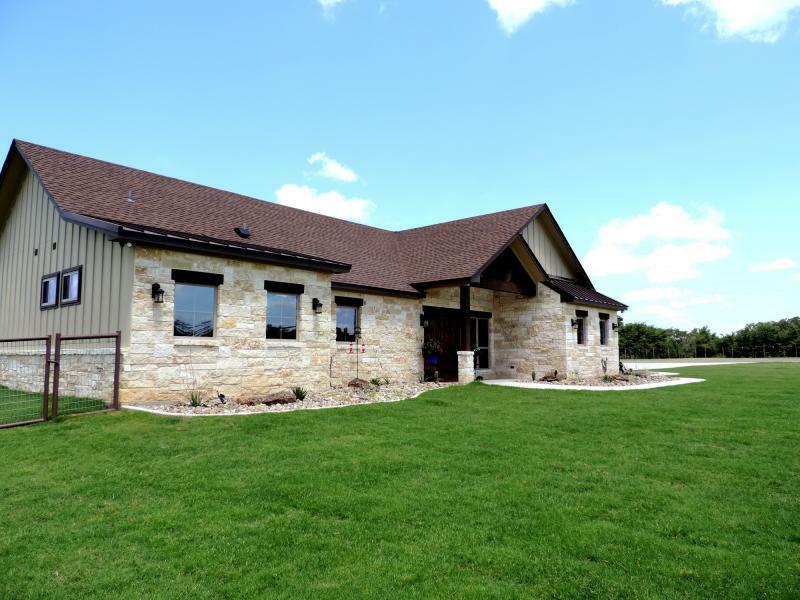 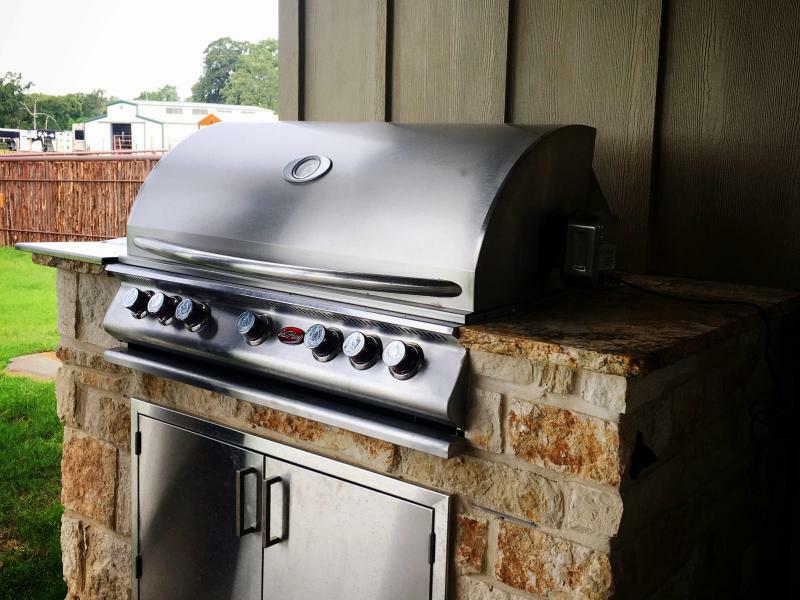 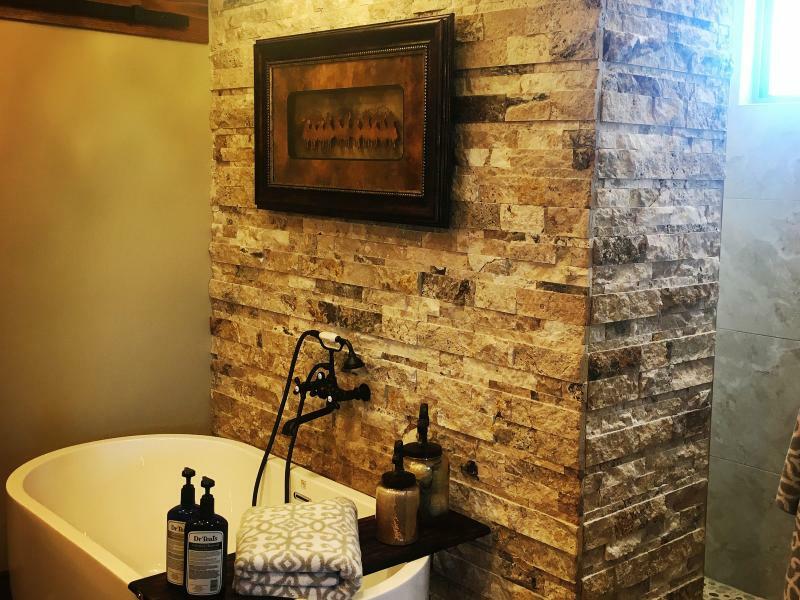 Almand Land & Cattle is 100 recently developed acres in Henderson County with a 2,145 Square-Foot newly constructed Stone Home, Barn, Tack room, Shop, Office & Working Pens under cover. 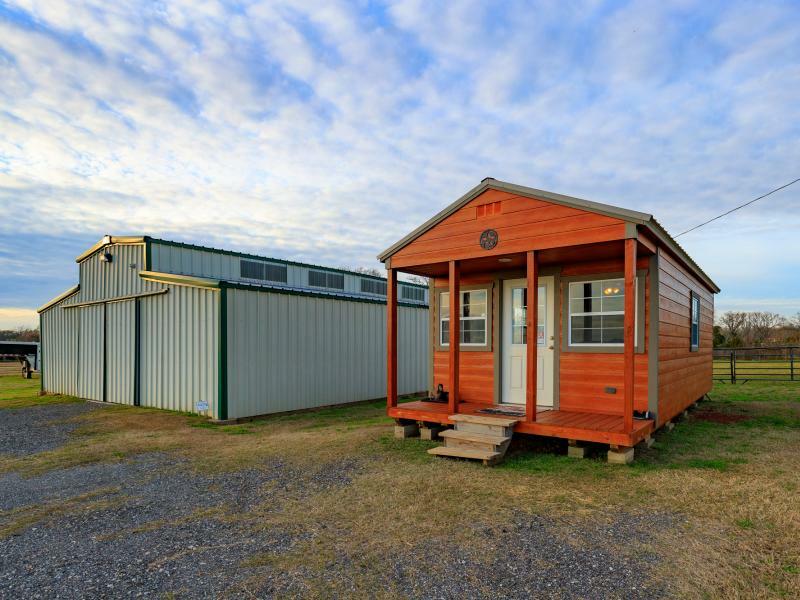 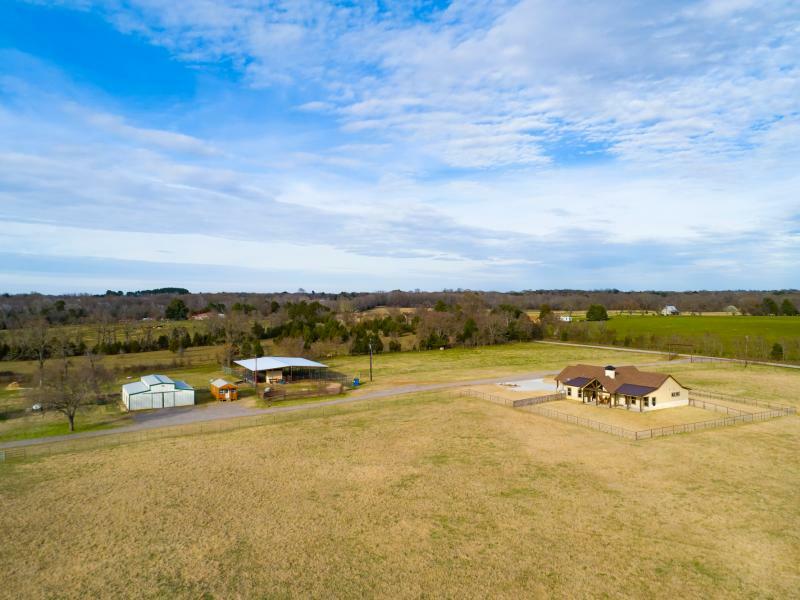 This Henderson County property is located 6 miles south of Athens off Hwy 175 on County Road 4510. 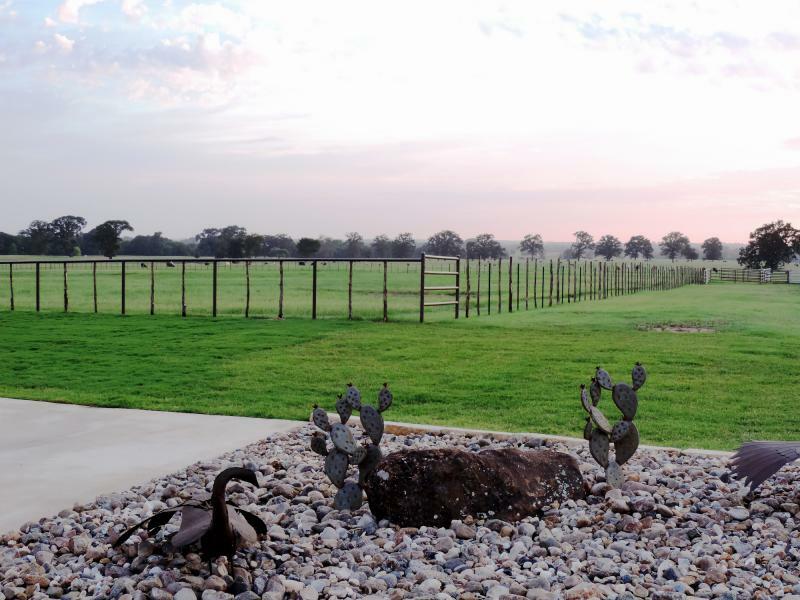 This property has been recently developed and improved to the highest of standards with all new fencing and cross-fencing. 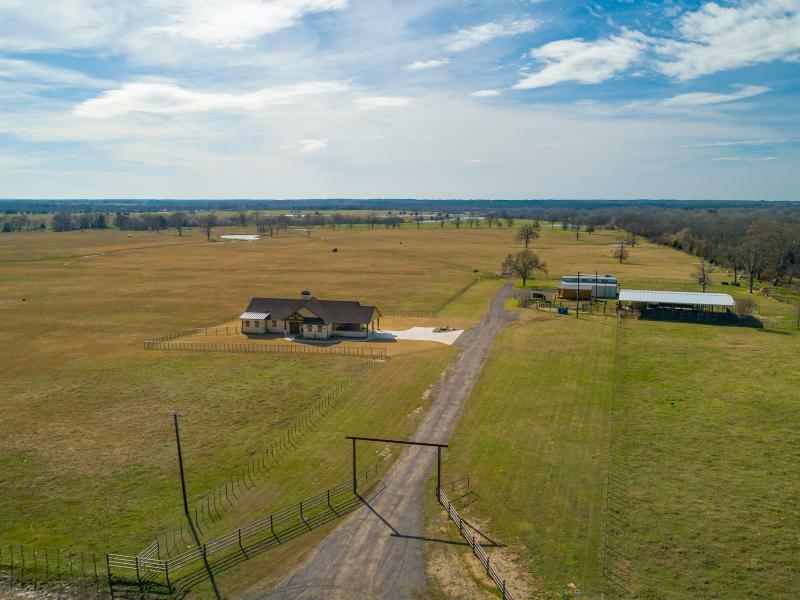 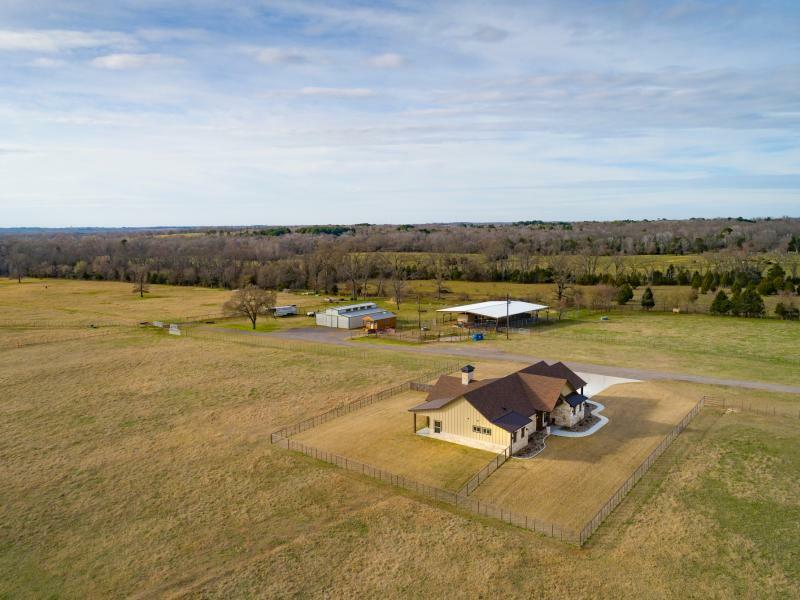 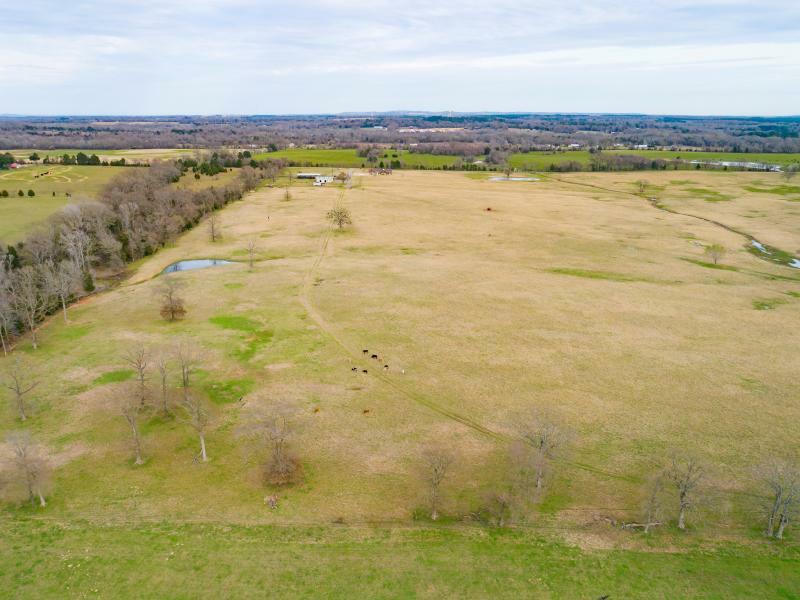 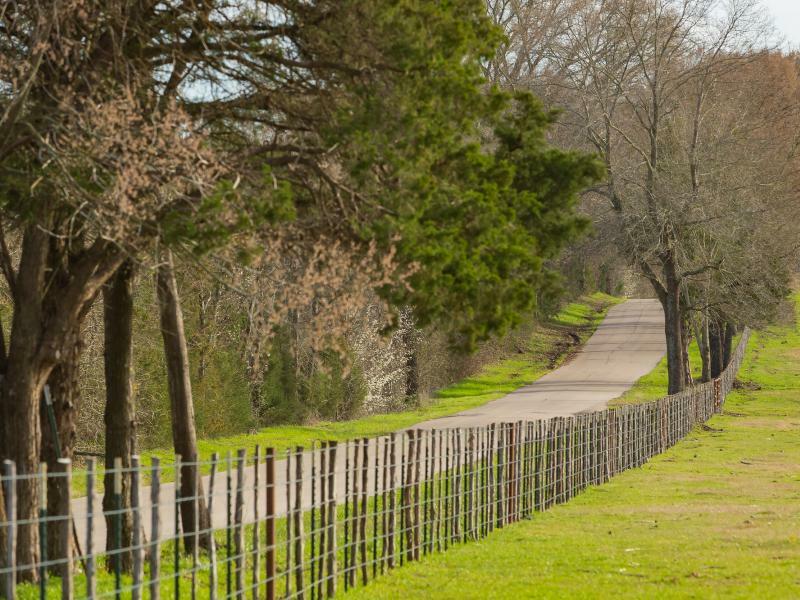 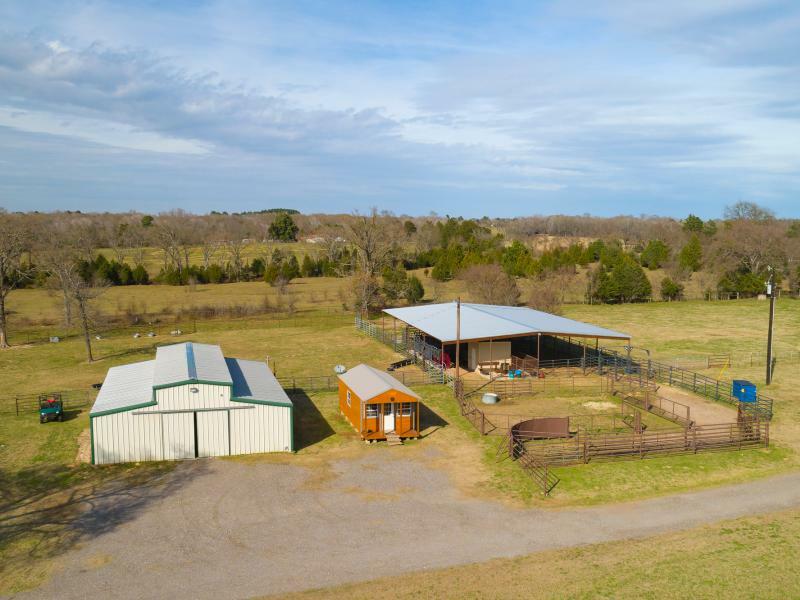 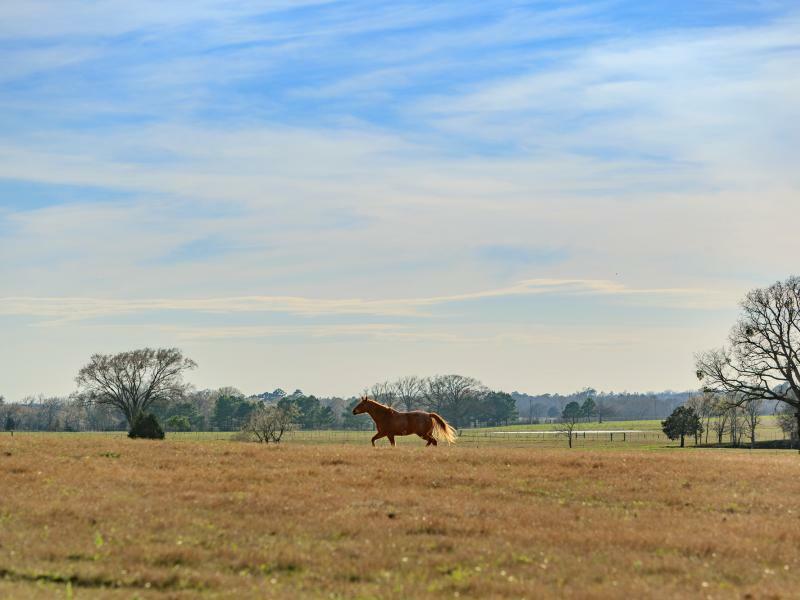 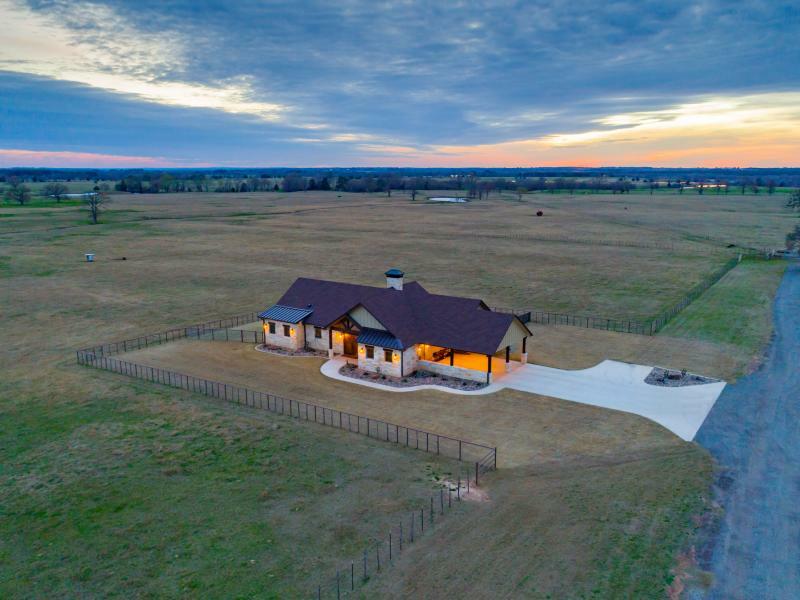 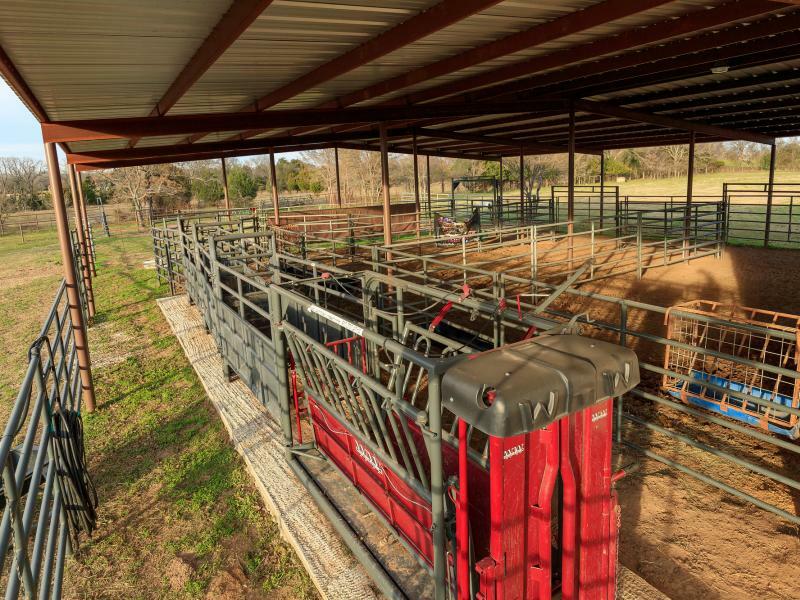 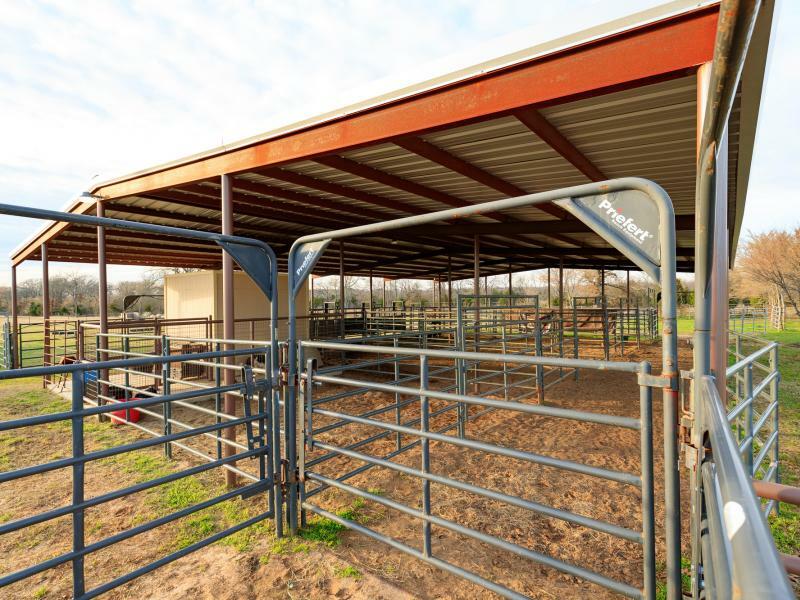 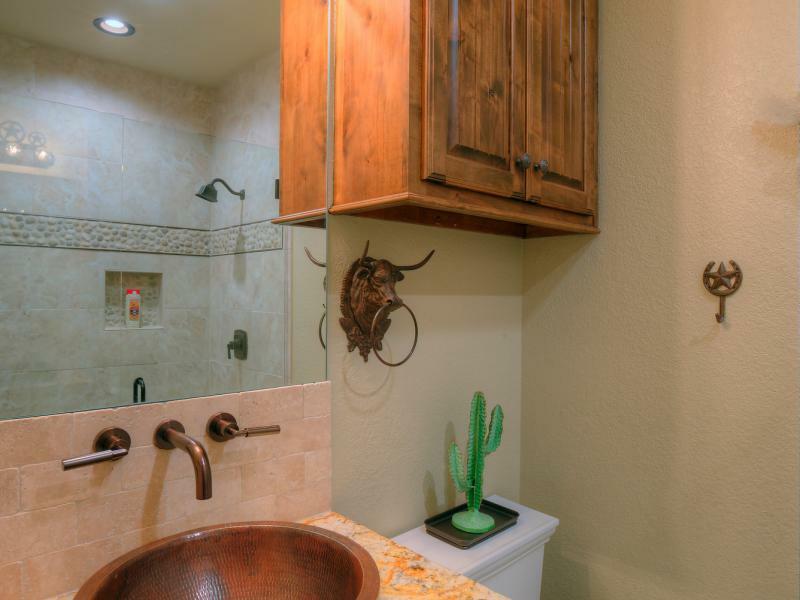 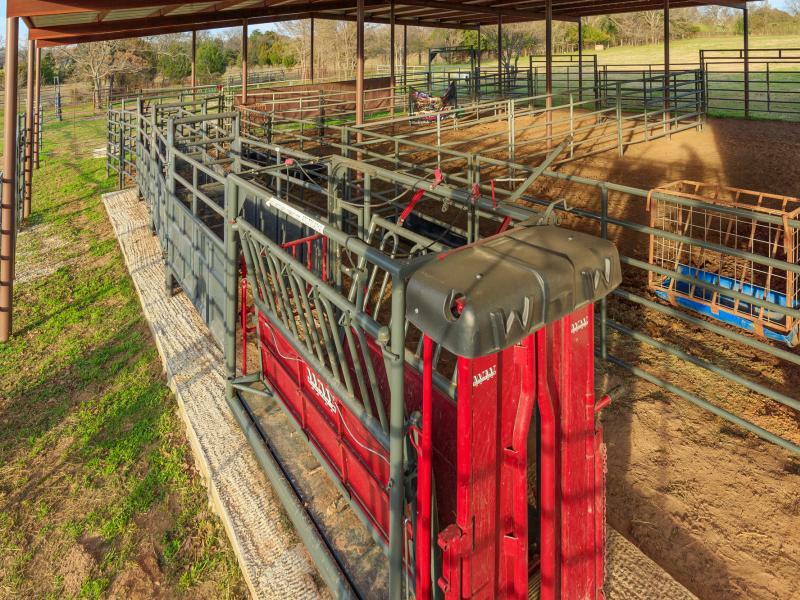 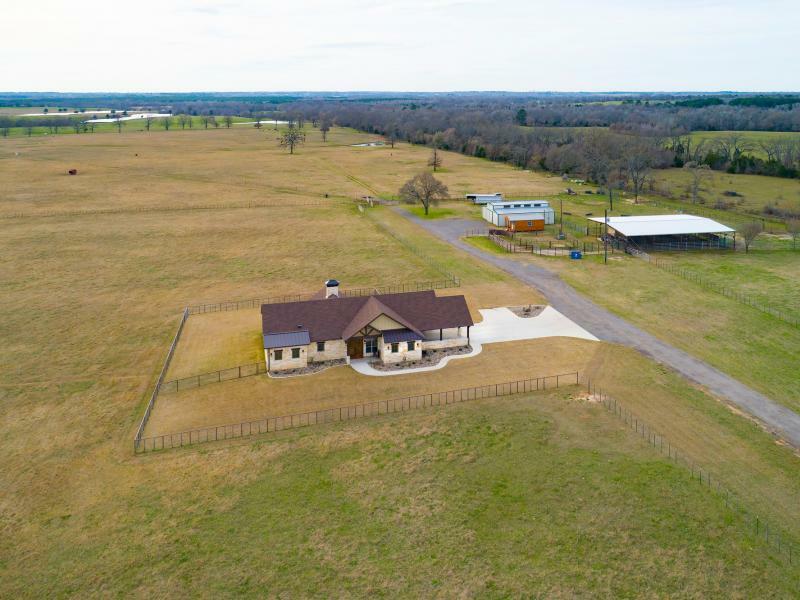 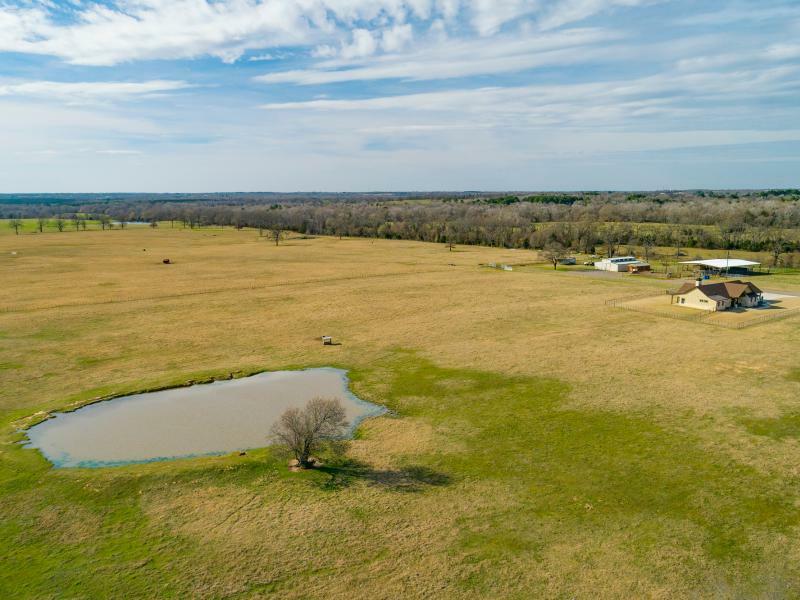 Ample water from 4 tanks and large mature trees accent the rolling topography making this gorgeous fenced and cross-fenced property ideal for cattle and horses. 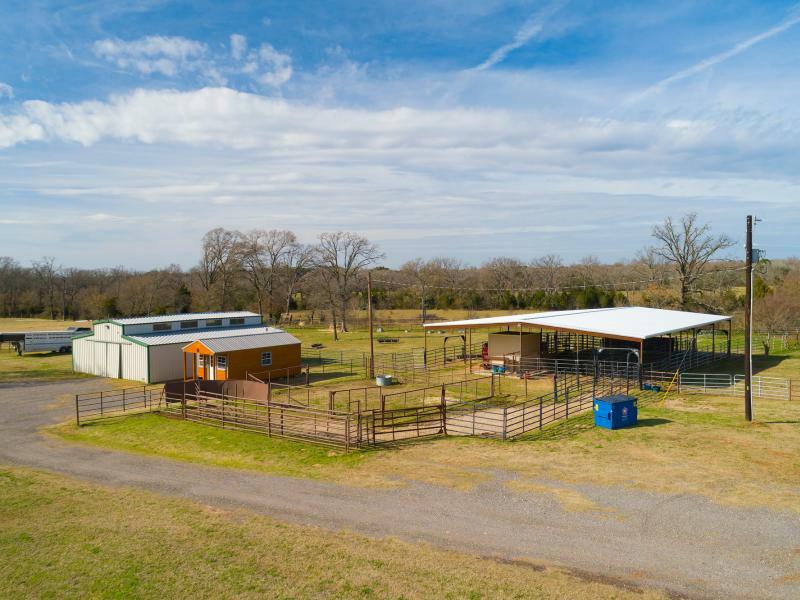 (All fencing is new and consists of 6-strand barbwire with cedar stays and pipe in several areas around working pens and residence.) 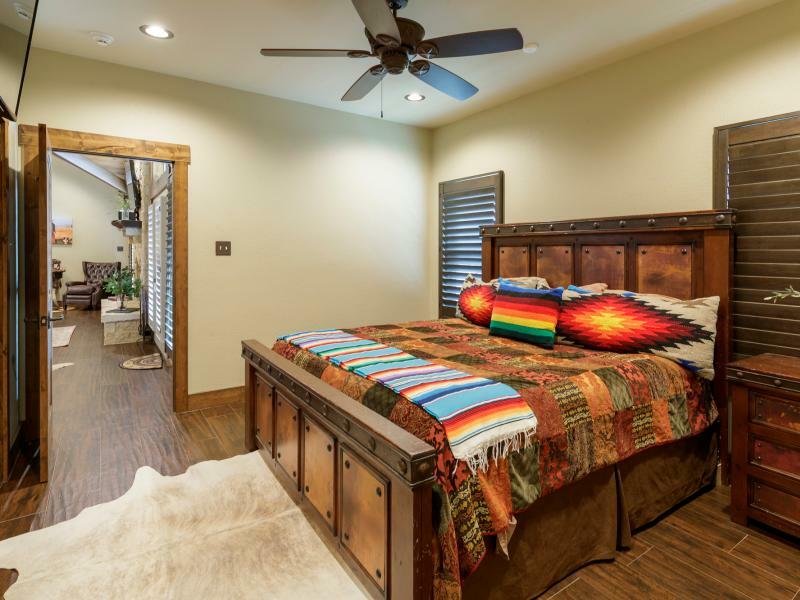 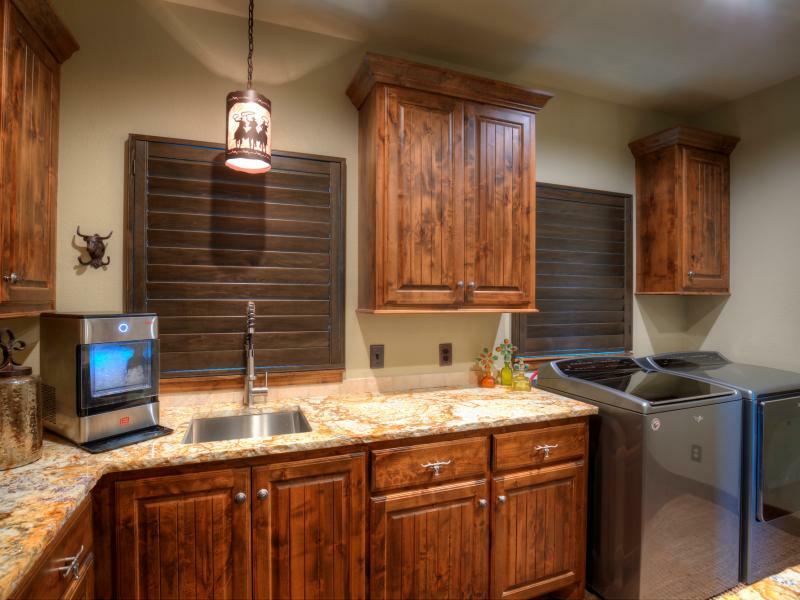 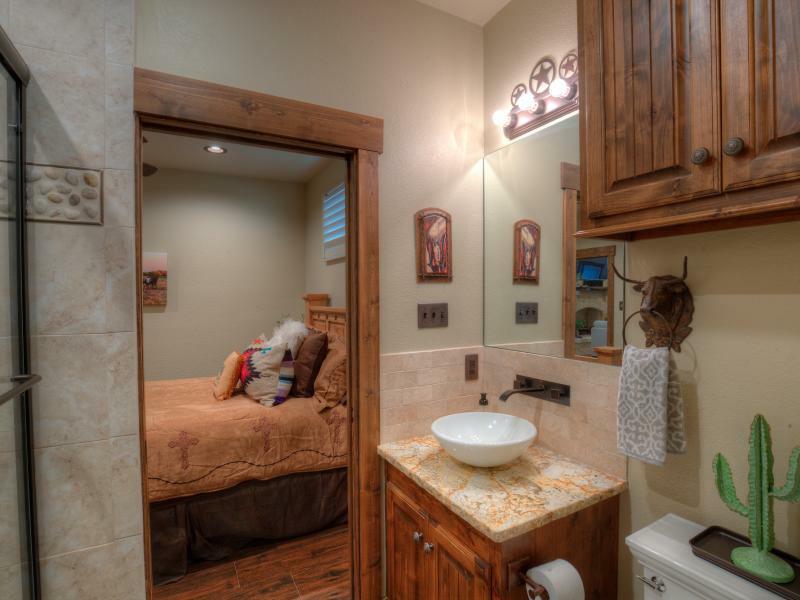 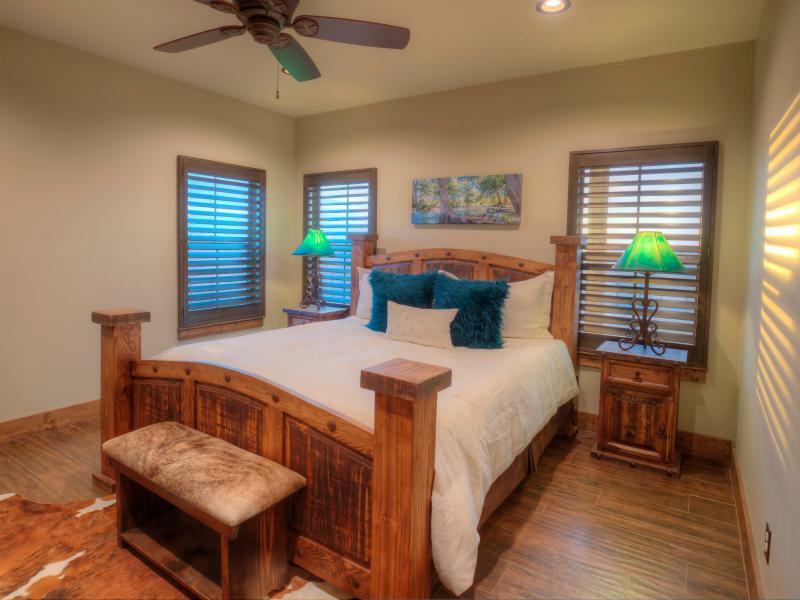 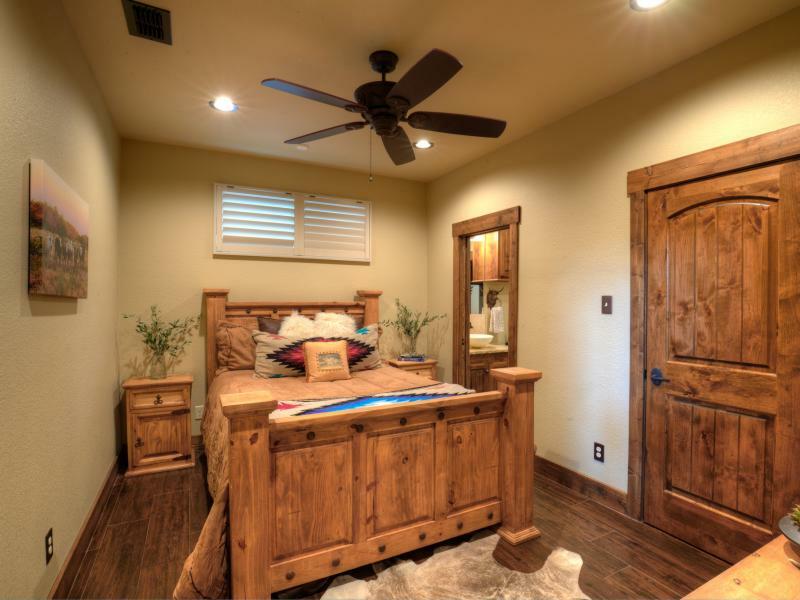 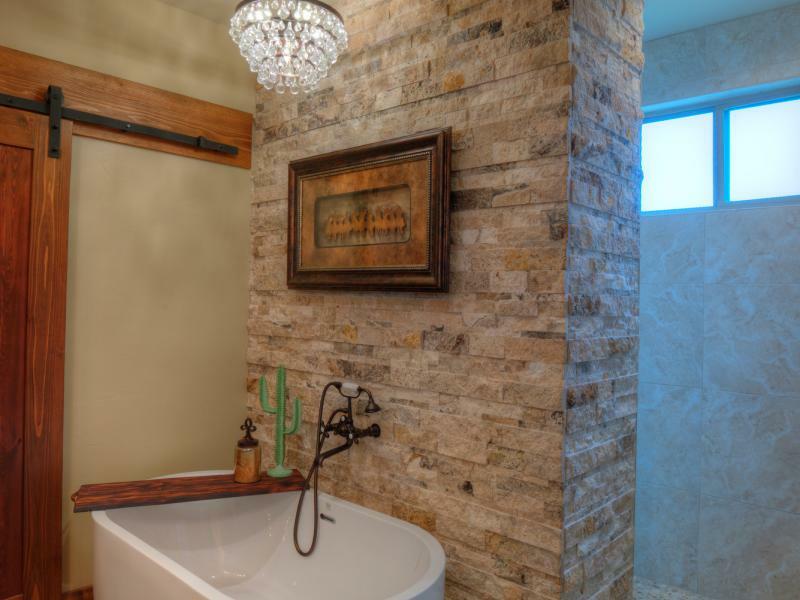 The highlight of the property is a newly constructed and fully-landscaped 3 bedroom, 3 bath home with 2 vehicle carport and boasts every amenity imaginable. 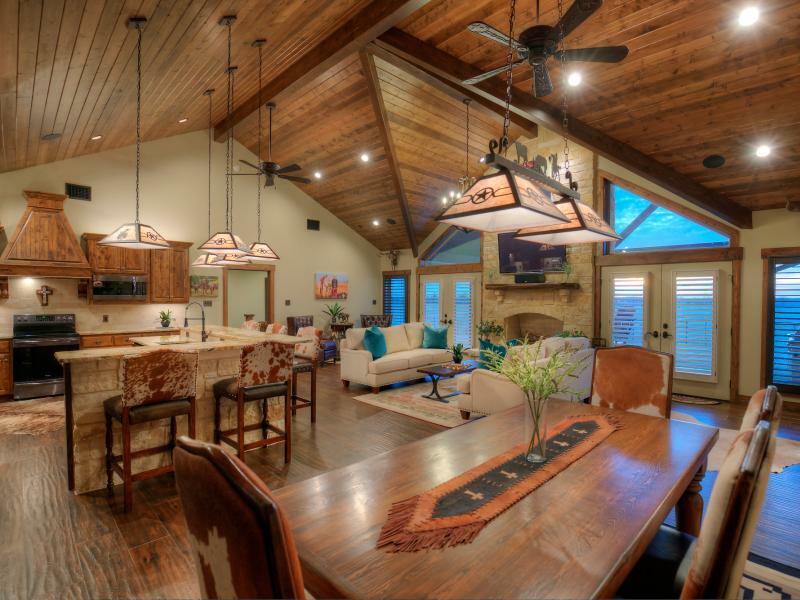 This open concept home features an impressive floor to ceiling stone fireplace, vaulted tongue and groove ceilings, gabled roof lines, wood tile throughout, custom lighting, plantation shutters, custom cabinetry, granite counters, black stainless steel appliances, bottle king beverage station, laundry & mud room with sink and built ins, surround sound, security system, in ground sprinkler system, outdoor grill, safe room, gorgeous master suite with dual shower and vanity with free-standing soaker tub, wall mounted faucets and large walk-in closets with built ins.